What concerns me most as a medical doctor is the fact that two psychologists hired by the CIA, James Mitchell and Bruce Jessen, directed these human torture experiments. The psychologists were curious about whether the theories of animal "learned helplessness" might work on humans. Fact: The CIA's torture program was directly inspired by animal experiments. In the 1960s, dogs were subjected to random electric shocks from which they could not escape. Eventually the dogs gave up trying to avoid the painful shocks, not even escaping when a path to escape was finally presented to them. The dogs wouldn't jump. All they had to do to avoid electric shocks was leap over a small barrier, but there they sat in boxes in a lab... passive and whining. As we now know, these "learned helplessness" experiments on dogs and other animals became the foundation for brutal CIA torture techniques, such as waterboarding. In the 1940's, doctors used prostitutes to infect soldiers, prisoners and mental health patients in Guatemala with syphilis and other sexually transmitted diseases. The aim was to study the effectiveness of penicillin. The National Institutes of Health (NIH) and the U.S. Public Health Service (PHS) sponsored this study. From 1955-1970, researchers intentionally infected mentally disabled children at the Willowbrook State School in New York with viral hepatitis to study immunity against infection. In 1963, Dr. Chester Southam, working with the U.S. PHS, the American Cancer Society, and Brooklyn's Jewish Chronic Disease Hospital, injected 22 elderly patients with live cancer cells. The patients did not consent, nor were they even aware that they had been injected with cancer. Dr. Southam was later elected president of the American Association for Cancer Research (1). Between 1932 and 1972, the U.S. PHS conducted the infamous Tuskegee experiments on hundreds of African-American men in Alabama. As late as 1969, the Centers for Disease Control and Prevention (CDC) examined the study and decided to continue it. The experiments continued until 1972 despite having been openly discussed in conferences at professional meetings, and despite dozens of articles appearing in the nation's "best" medical journals. The list of human experiments goes on and on, and there's a pattern underlying all of it. In each and every case, the experiments were conducted on society's most vulnerable to abuse-- the mentally disabled, elderly, children, incarcerated, poor, and minority groups. These groups were specifically targeted for experimentation because they were unable to resist and were vulnerable to coercion. Importantly, many of those targeted for experiments were also less likely to elicit sympathy from the general public at the time. It's critical to note that these human experiments were not conducted by a fringe group of health care providers. On the contrary; this was a problem with the mainstream medical establishment -- those we have entrusted to protect us in our most vulnerable moments. Even worse, they were conducted and/or funded, at taxpayer-expense, by our official government health bureaucracies, such as the PHS (for which I currently serve as Lieutenant Commander), CDC, and NIH. Fortunately, such abusive human experimentation is now highly unlikely in the U.S. -- but regulations and ethical guidelines had to be implemented to protect humans, especially the most vulnerable. Thankfully, our health agencies now speak out against such abhorrent examples of misplaced trust. I am proud to be serving for our governmental health agencies with other dedicated medical professionals striving to protect the public's health. However, I can't help but question: Have we really learned our lesson? We continue to experiment on another vulnerable group -- animals. Learned helplessness experiments were undeniably cruel. Yet, these kinds of experiments continue. Hundreds of millions of animals are abused in experiments that cause them immense suffering, pain, and mental anguish. These experiments are conducted and endorsed by our health agencies and paid for by our tax dollars. For example, members of Congress have recently taken NIH to task for spending our tax dollars on maternal deprivation experiments on hundreds of baby monkeys. Soon after birth, baby monkeys are subjected to fear, stress, and pain-inducing experiments. Half of the babies are forcibly separated from their mothers to assess the effects of maternal deprivation. Our government bureaucrats tell us that these animal experiments are necessary, ethical, and a good use of public funds. But don't the human experiment cases suggest that the medical establishment is not always the best judge of what is ethical and necessary? Yes, there are differences between humans and other animals (you can read here why many physiological differences cause animal experiments to be ineffective). However, animals are like the most vulnerable of human beings where it counts -- they suffer. In fact, animals are used precisely because they are vulnerable. They are utterly powerless. They cannot stand up for their own rights. 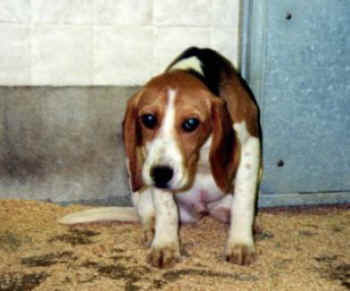 In the case of dogs, about 65,000 beagles are experimented on precisely because they are docile and don't fight back (2). Animals are easy targets for experiments. Is it not possible that, as with past human experiments, our medical establishment continues to have a collective ethical blind spot when it comes to animals? Philosopher Kwame Anthony Appiah asked what will future generations condemn us for? It's easy to look back and condemn past abuses. Yet, what about our current practices? Will future generations look back at our experiments on animals with the same horror that we now view human experiments of the past? Times have changed. Given what we now know of the inner lives of animals and their ability to feel joy, pain, anxiety, and fear, shouldn't we re-evaluate the ethics of experimenting on them? Want to know more? Check out my website Aysha Akhtar, MD, MPH and join me on Facebook.